I really admire these two. 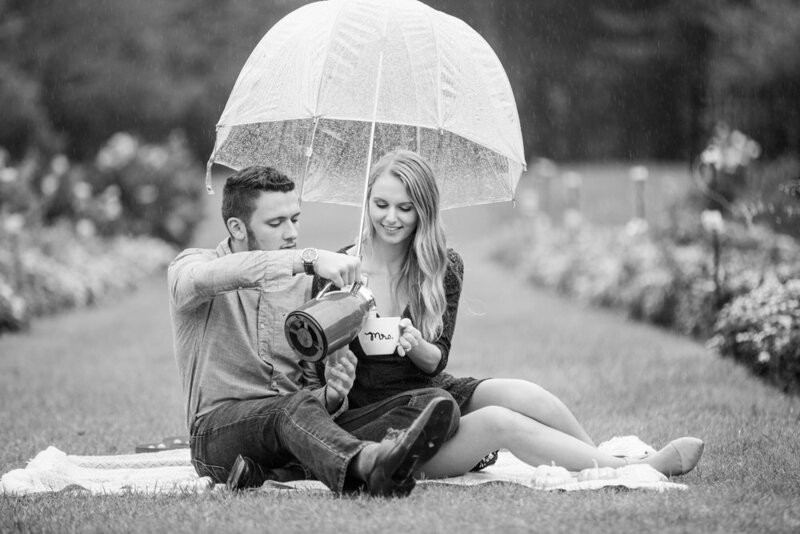 The day of their engagement session, there was a 15% chance of rain. Usually, 15% doesn't worry me, and typically passes over the area quickly. Well, during Kayla and Michael's shoot, it rained the entire time (except for the first part, while we were shooting inside! ;) ). 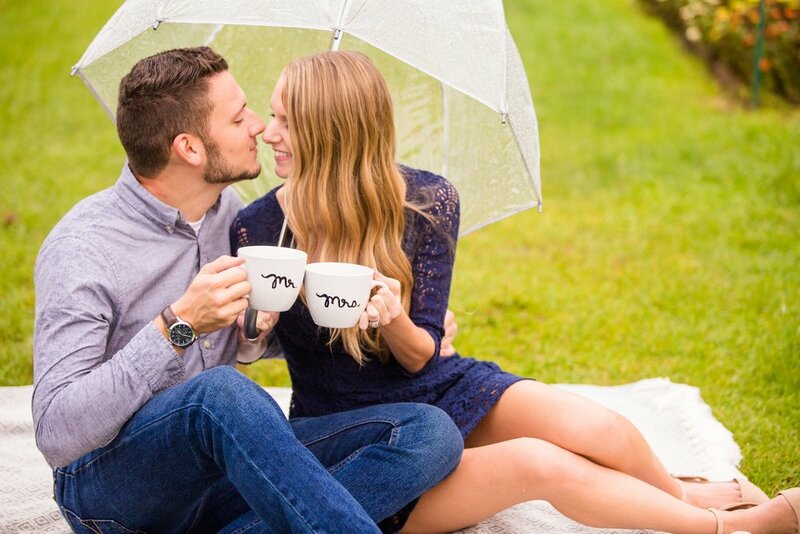 I admire these two for their willingness to embrace the rain and still have their garden coffee date regardless of the stormy skies looming above them and the pouring rain around them, and for their positivity throughout the entire session! Because of their good attitudes (and willingness to try out my crazy ideas! ), we were able to come up with some truly beautiful, unique images, and had a lot of fun in the process! 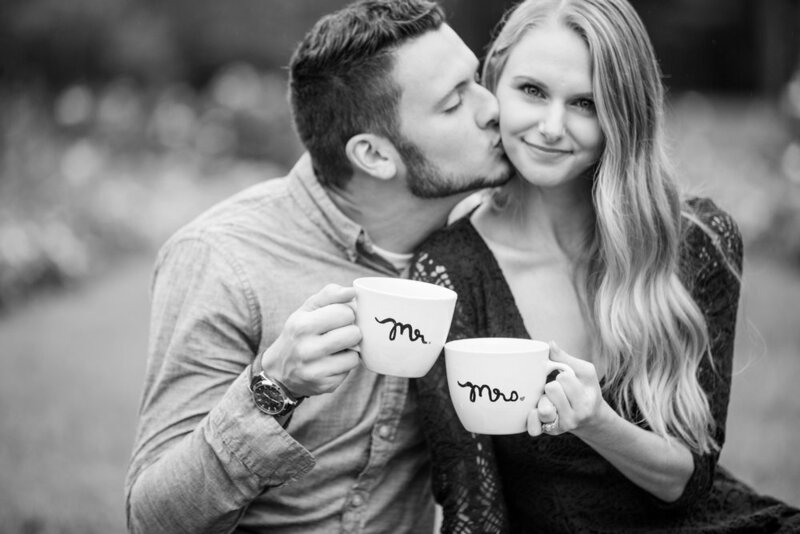 In addition to their rainy coffee date, we also had the opportunity to visit the school where Kayla and Michael first met, and started dating! Such a fun personal detail to include. Thank you for your positivity and willingness to push through the rain, Kayla and Michael! It says so much about the two of you and the foundation you're building your marriage upon. We can't wait for the wedding!